The Wapato Pervious Streets Project was constructed to reduce the quantity of stormwater discharged in the Flett Watershed. This project also aims to reduce the contaminant loading into Wapato Lake, which has been identified as an impaired water body. This project entailed reconstructing South Wapato Lake Drive and Asotin Court located off of South Alaska Street. Green infrastructure was utilized to provide water quality treatment and flow control by allowing the infiltration of storm runoff from South Wapato Lake Drive, Asotin Court and contributing residential properties. This was accomplished through porous asphalt, a reservoir base course, and a sand treatment layer over existing native soils. This project replaced nearly two thousand feet of failed roadway that continually discharged sediment laden water directly into Wapato Lake. Aging sanitary sewer and water lines located underneath the roadway where replaced through utility partnerships. The porous asphalt roadway both treats and infiltrates nearly all 10 acres of contributing area. Sidewalks were constructed on both sides of the street and were complimented with over 85 native street trees. This sustainable project was designed and constructed utilizing Greenroads. Wapato Lake Drive was Silver Certified and Asotin Court was Bronze Certified. 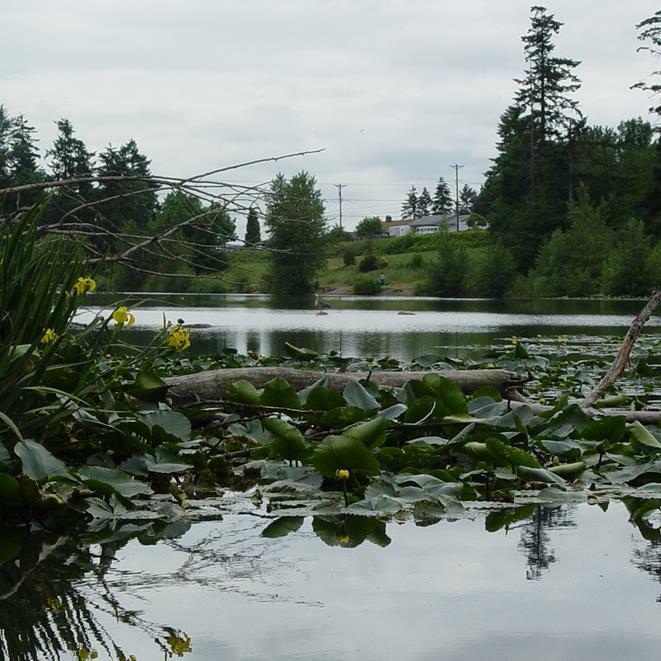 Continued education with the residents along the project will be ongoing, as the project’s visibility reminds residents what impact they have on the stormwater, and gives them a vested interest in protecting stormwater and Wapato Lake. A monitoring port was installed near the low point of the corridor to enable staff to monitor and analyze stormwater treatment provided by the porous asphalt system. The Wapato Lake Drive pavement section was designed for a 40-year design life. Asotin Court was designed to a 20 year design life. The performance of these roads will be monitored so that we can adjust our future designs for longevity. Due to the open graded nature of the pavement, it is anticipated that the roadway will need to be maintained by a regenerative air sweeper on a bi-annual basis, which is already provided by City maintenance crews. This will be monitored and increased if necessary. The need for state standard specifications is critical to the success of utilizing and requiring pervious pavements. There needs to be more education, testing, and research conducted on the porous asphalt mix design, the permeable ballast, and sand filter layer. Gutters are not necessary for typical pervious road design like this and should not be the standard. Gutters prevent runoff from getting to the pervious pavement and can contribute to premature clogging. All pervious roads should be graded to drain. Low spots even for small contributing areas should be provided with an overflow infiltration gallery or a standard catch basin.